Ben-Li Express offers a varied range of Chinese Family Dishes which covers the two major concepts 大炒(larger portion per dish) and 小炒(personal portion per dish). The menu consists with wide selection of Simple Stir-Fry Wok Dishes which is being prepared in an Express Way. The golden triangle for having a balanced meal in Ben-Li Express would be two vegetable dishes (or swap with one soup dish) and two meat dishes for 4 people. The well-recognized dish in this restaurant would be the Fish Eggplant (鱼香茄子) RM 8.50 closely attach right after Sweet and Sour Fish Slices (甜酸鱼片) RM 10.50, less greasy eggplant with flavourful seasoned minced meat scattered around confirms its status as a successful dish. Salad Shrimp (沙拉明虾) RM 13.50 and Garlic Kailan (蒜爆芥蓝) RM 6.00 reach slightly later to complete the meal. The Salad Shrimp which covered with a thick crisp dough does give us a good savoury yet we still prefer dry buttermilk version. Overall aftertaste was delightful and definitely worth the penny. 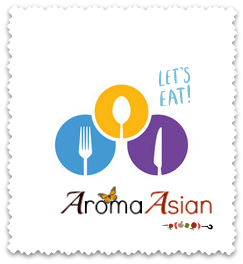 If you are looking for an economic budget personal/family meal, this is the best place to visit. Address: Lot 15, LG Floor, Da Men USJ, Persiaran Kewajipan 1, Subang Jaya.